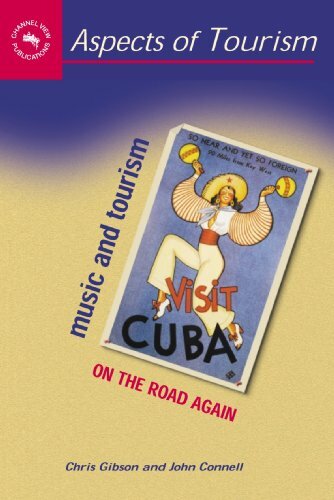 Christopher Gibson and John Connell, Music and Tourism: On the Road Again, Channel View Press & University of Toronto Press, New York & Toronto, 2005, 301p. Very few people have more money than they can possibly spend in their own lifetime. It is hard to comprehend what it must be like to be able to spend $3 million on yourself every week of your life and still remain incredibly wealthy. According to Australian political commentator Robert Haupt (1989: 14), this was the fate of Australia's richest man - media magnate Kerry Packer. The Forbes Rich List for 2005 ranked Packer at 94 of the 691 billionaires in the world, whose combined wealth amounted to U5$2.2 trillion (Nason, 2005: 8). According to the Merrill Lynch and Capegimini (2005) Ninth Annual World Wealth Report, there were, in 2004, 77,500 people in the world with at least U5$30 million in financial assets, and David Smith (2003: 128) estimates that the richest 200 individuals in the world have the combined income of 41 per cent of the world's people.